Dammit all, if I’m going to celebrate Freddy Krueger Day, then I’m going to celebrate it with you. Nancy Thompson (Heather Langenkamp, Star Trek Into Darkness, Shocker) isn’t sleeping well. Neither is her boyfriend Glen (Johnny Depp, Edward Scissorhands, Pirates of the Caribbean: On Stranger Tides) or her best friend Tina (Amanda Wyss, Fast Times at Ridgemont High, Shakma), and when a horrific event causes Nancy to realize that she and her friends are in danger from a man who can kill them in their dreams, Nancy must act quickly to stay awake and discover the horrific past of the burned man called Fred Krueger (Robert Englund, Fear Clinic, Lake Placid vs. Anaconda). 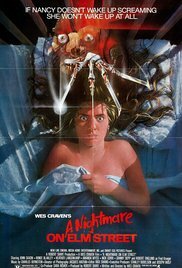 A Nightmare on Elm Street is a perfect way to showcase how real life events transform into incredible storytelling. Director Wes Craven (Scream, My Soul to Take) took true stories of Khmer refugees who had dreams so terrifying that they died in their sleep. 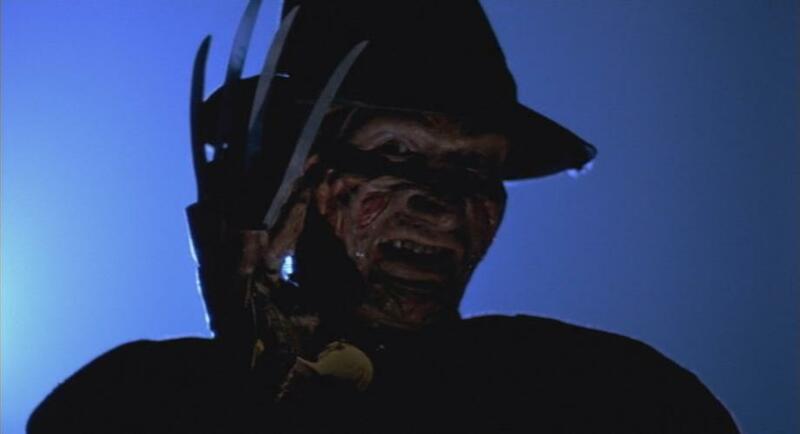 He splashed together elements from the song “Dream Weaver”, a man Craven saw on his street as a child, and his childhood bully experiences to create Fred Krueger, one of the most iconic villains in film history. Here in the film, Krueger is played perfectly by Robert Englund, a trained actor who proved in his audition that the character of Freddy needed more than just a stuntman. He is joined by young talent in Langenkamp, a notable first film performance by Johnny Depp, and the seasoned work from John Saxon (Enter the Dragon, From Dusk Till Dawn) and Ronee Blakley (Nashville, Murder by Numbers) as Nancy’s parents. But it is Craven’s approach, high on mood and tone and noticeably restrained on the villain himself (Krueger scores about seven minutes of screen time across the film) that gives the film that lasting punch. It puts emphasis on the big horrific set pieces and lets the actors embrace their performances. That’s why many scenes, like the notable blood geyser sequence, are just as well-remembered as the man committing the atrocities. 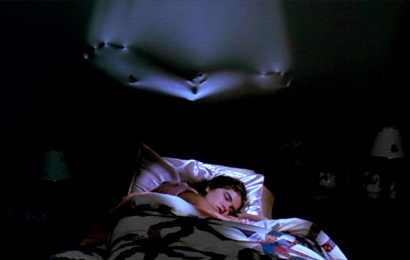 With A Nightmare on Elm Street, Wes Craven created a franchise without trying or wanting to, one that came with it an incredibly terrifying villain, a beautifully dreamlike score, and some genuinely shocking moments throughout. It is through the staying power of this classic as well as the man behind the makeup that carry the film forward and make it a film series that fanatics go back to again and again. The flaws are few, only in places where the film feels aged, and of those moments, there are few. The universal appeal of the nightmare more than makes up for them as the relatable characters search for answers and fight to stay awake. For my review of Wes Craven’s Vampire in Brooklyn, click here.